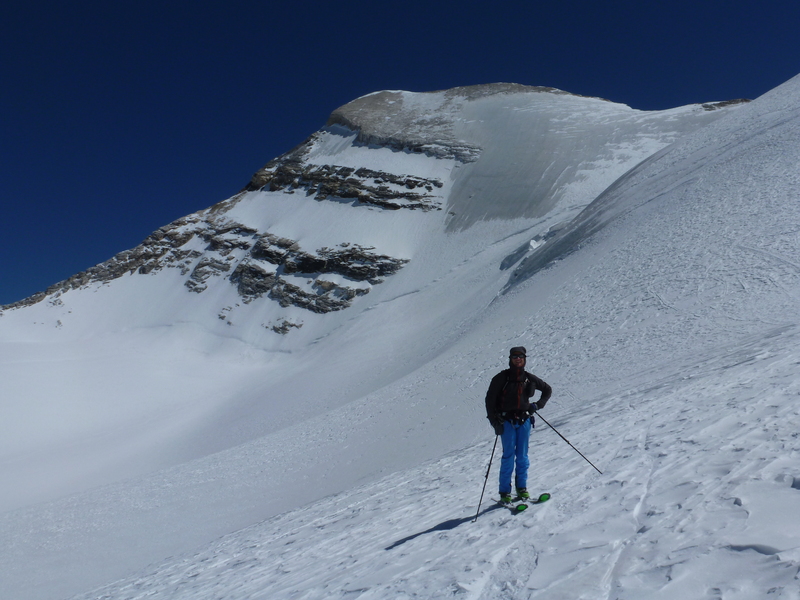 This is the second of our Haglöfs tests aimed at “rando” or ski touring. This time the Rando Hybrid Jacket. So what’s the verdict? 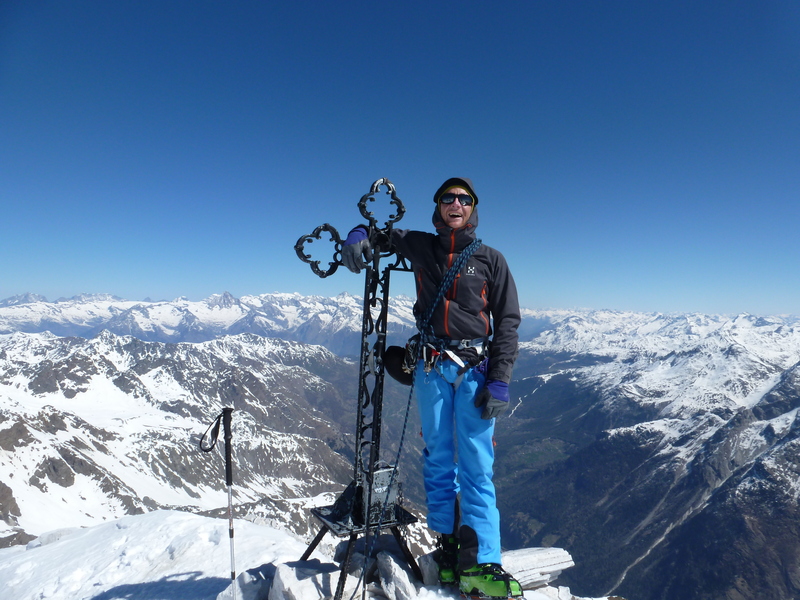 A great jacket for ski mountaineering. Here on the summit of the Bruggenhorn. I’ve used the Rando Hybrid Jacket for ski touring and general mountaineering and I have to say it is a very comfortable and versatile piece of kit. I like the comfort and flexibility that softshell clothing allows; yes it won’t keep me dry in a heavy downpour, but otherwise it’s pretty much perfect. The “Hybrid” bit of the title is referring to the fabrics used to produce the jacket. The main body is produced in a Gore Windstopper 3 layer softshell fabric, the idea being that maximum wind and moisture protection is placed where you need it most e.g. your core, and the rest is constructed using Flexable stretch softshell fabric, which still offers excellent moisture and wind protection, but is more breathable and lighter. This kind of ‘fabric mapping’ is not new but is a good way of maximising the benefits of certain fabrics, just in the areas that they are needed. All the fabrics on the Haglöfs Rando Hybrid Jacket are treated with a DWR (Durable Water Repellant) finish, to maximise water repellancy. The fabrics stretch throughout, helping with the freedom of movement. 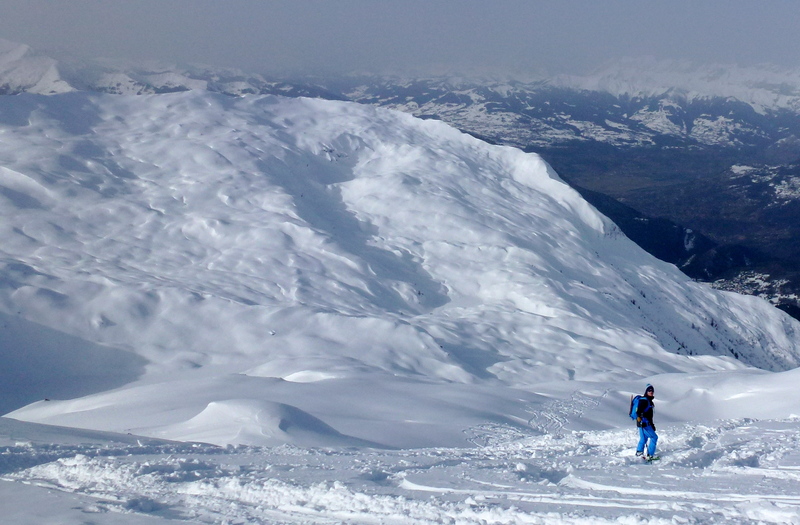 Great for ski touring! Seen in use here in the Aiguiles Rouges, France. 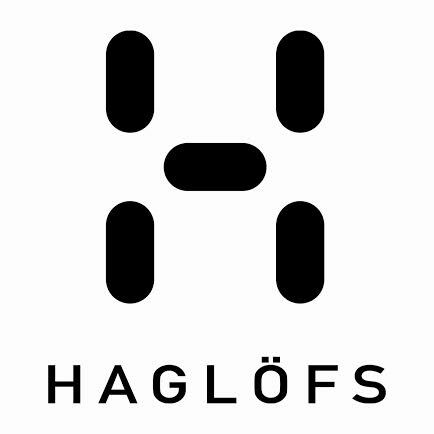 So, a little bit more about the Haglöfs Rando Hybrid Jacket… It is cut to about hip length, with a slightly dropped seat to help protect your bum from the elements. The hem is drawcord adjustable and has a rubberised underside to help grip, seal out snow and stop it riding up, particularly useful if you are wearing a harness. The fit is roomy enough to accommodate a couple of insulation layers underneath (I usually wear a thin wicking layer and a light fleece midlayer) but there is no excess fabric flapping around either. Articulation is good and there is plenty of freedom of movement for climbing and skiing. I certainly had no issues with the jacket riding up when I was climbing, or the sleeves being too short. The hood on the Haglöfs Rando Hybrid Jacket is simply awesome. This is something that lets a lot of so-called technical jackets down, but not here. The hood works well over a ski helmet, climbing helmet or even just your head! The three-way adjustment is easy and effective and can be done wearing gloves. The hybrid construction keeps you comfortable whether you’re going uphill or down. The hood is fantastic too. The full main zip with inner placket and laminated chin guard is easy to operate and clearly of good quality. The chin guard is comfortable and the inner placket repels the wind. The zip is actually a 2 way one which although a nice touch, I’m not sure is particularly necessary in a jacket like this. The cuffs are adjusted by a simple velcro closure system and so far this is proving to be both durable and functional. The Rando Hybrid also has lots of storage space, with one chest pocket and 2 large mid-mounted hand pockets. These are positioned so as to not interfere with a climbing harness or rucksack straps and they work brilliantly, keeping everything you need (suncream, bars, compass etc) close by, but secure as well. 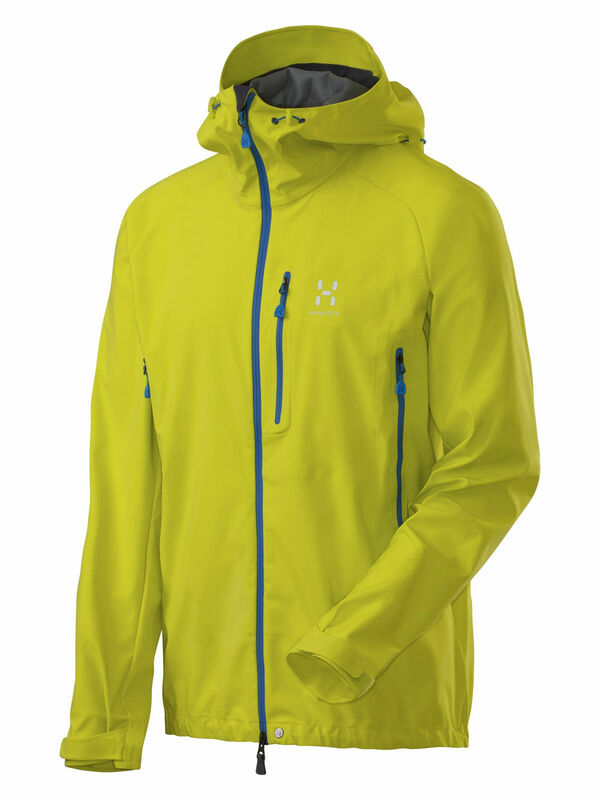 All in all the Haglöfs Rando Hybrid is a great softshell jacket for ski touring and general mountaineering. It is well cut and very breathable, but the Windstopper fabric on the body keeps the weather at bay. The hood is awesome and the great articulation and stretch fabrics make it a joy to wear. A perfect addition to any outdoor wardrobe!